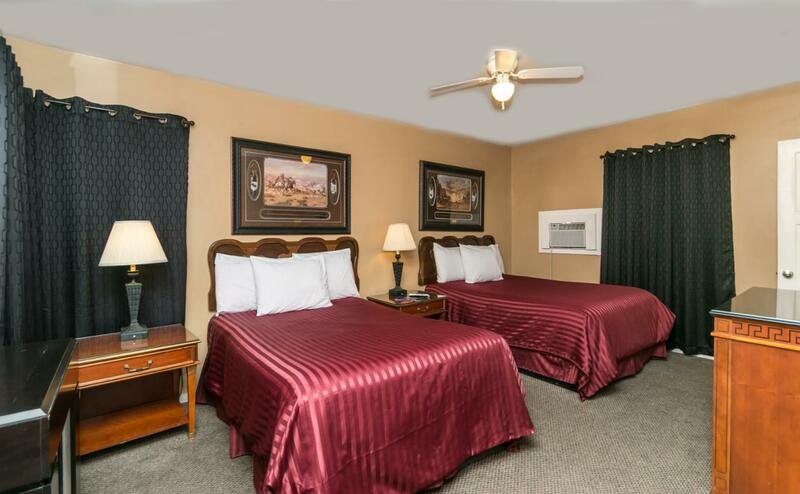 Thank you for choosing to stay with us at the Apache Lodge. Below are hotel policies and procedures; read them carefully. As our hotel guests, by reading and signing your hotel registration card at check-in you are agreeing to abide by our hotel policies and procedures. Check-in time is after 4 pm (not guaranteed due to high volume of occupancy). If you arrive earlier we will be pleased to store your luggage until your room is ready. Guests will be required to present a valid credit/debit card upon check-in along with a valid form of identiﬁcation. The Apache Lodge will make every effort to honor special requests (such as a specific room or early check-in) upon your arrival. However, the availability of these items cannot be guaranteed in advance. The hotel reserves all rights to refuse service to anyone. Check-out is 11 am. If you require a later check-out we will do our best to accommodate your request. The enjoyment of every guest is very important to the Apache Lodge. Talking in the hotel courtyard is very acoustic we ask guests who are wanting to be outside their rooms after 10 pm go to the adjoining park. In the event of a disturbance the guest will be asked to leave and will forfeit all fees. Smoking is allowed only in designated areas and smoking rooms. Smoking in a non-smoking room may result in an additional $150.00 fee. “Service animals” are allowed at no additional charge with proper documentation. Non documented dogs will be charged $15 per dog per night. Failure to disclose a pet at check-in will result in a $45 fee.